The light at the end of the track, a photo by The Bacher Family on Flickr. 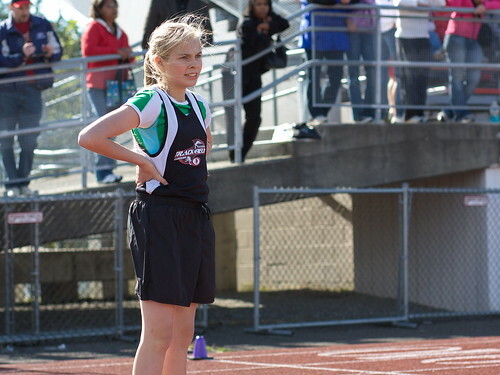 I captured this image as the runner from Eatonville Middle School waited for her placement in the race to be recorded. I love the way the light backlit her wind-blown hair!